I’m sorry, but I don’t really know how to handle this one. I think it sounds nice, and better than a lot of other alt-country I’ve heard (let’s not even get started on mainstream country), but I can’t exactly detail why I think that at this time. 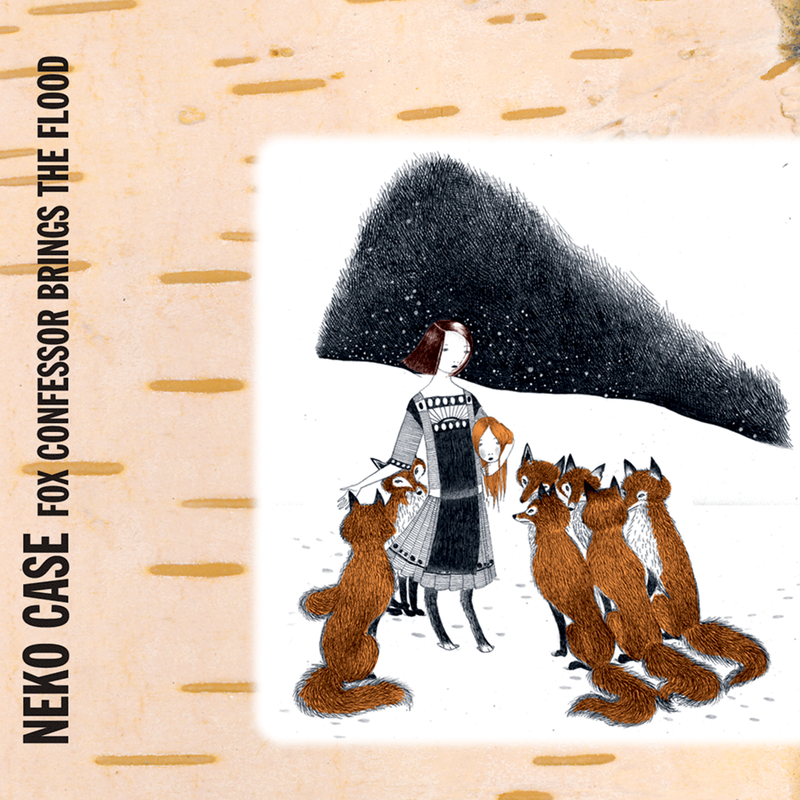 Part of me thinks that there’s a subliminal effect from really liking Neko Case’s contributions to the New Pornographers, but I also like what I’ve heard from Calexico (who apparently play on this album), so that’s likely not it. Trying to compare this to another alt-countryish artist I like (Woven Hand) perhaps provides a hint at why I like this. Like Woven Hand, it tries for a distinct atmosphere, unlike seemingly a lot of country music, both mainstream and alternative. Also like Woven Hand, it is a bit samey-sounding, but ultimately most songs in every genre are samey-sounding if you don’t have much of an aptitude for it. I’ll get back to this album at some point (along with the subsequent ones from her and albums from Calexico) and see if I can figure out why I like this where most alt-country music kinda doesn’t work for me. I’ve wanted to listen to this album forever, and I’m glad that Jonathan forced me to finally get around to it. I also listened to Bellybutton so I could have proper context for this review, and I have to say that album was curiously light on hooks, although the arrangements were pretty good. The great “Baby’s Coming Back” was an exception. That song feels like a model for this album. Brilliant character assassinations (sometimes on the self, sometimes on others) with great hooks and arrangements. Spilt Milk also adds one more thing that isn’t really in “Baby’s Coming Back” or on Bellybutton: some real rocking energy. Thankfully, these guys are smart enough to stay in their own lane and don’t try co-opting grunge in the process. The closest they come to it is “All Is Forgiven”, and even that is leavened with ELO-style harmonies. Speaking of ELO, in a lot of ways, this album sounds like ELO would if Jeff Lynne had some taste (which he didn’t, but we love him for it anyway). If you want to take a listen to one song to figure out if this album is for you, take a listen to “New Mistake”. It’s the best exemplar of everything Spilt Milk does right. Unfortunately, Jellyfish would release no more albums after this. It is worth thinking about whether they would’ve gotten weirder or tried to become more commercial if they had recorded a third album. Either way, we’ll never know, and maybe that’s for the best. 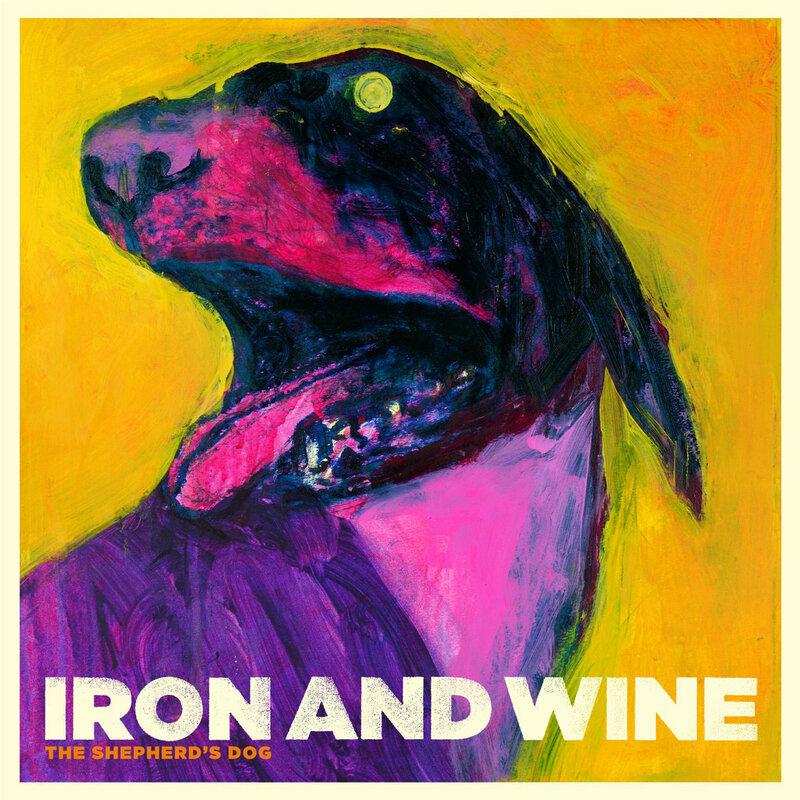 Iron and Wine. Such an interesting name, such a bad mixed drink. “The Shepherd’s Dog”, besides being one of the most iconic figures of rural life, is the title of their third album. And I use “they” even though I could get away with “he”, as this is Sam Beam project. Sam Beam is a guy that was doing folk and sporting a huge beard before it was cool and way before it was hideous. In fact, his two first full length records (2002 and 2004) were trending and very interesting. With a voice sounding as a very very relaxed Graham Nash and nice fingerpicked guitar melodies surrounding it, those efforts were really enjoyable. The third album, as every third album should do, tries to experiment and grow the original sound of the project. For Sam Beam, that basically meant to produce a fuller outcome for the listener. Probably, the most noticeable novelty in their sound was rhythmic. The drums, displaying an open sound, put Iron and Wine in motion. Now that they are walking a little bit faster, the album gets busy with delivering songs each one with an individual identity in their own. Sam Beam singing doesn’t offer anything really new, but it works for the same fellows that it worked last time, specially on tracks like “Flightless Bird, American Mouth” or “Resurrection Fern”. For your humble servant, this record is forgettable, but if you dig the band, you probably have it in your shelf by now. For true connoisseurs of progressive rock, this album has become revered as an excellent example of the progressive folk subgenre. A progressive rock website I used to frequent placed it in the all-time top 20 albums at one point (based on consolidated site member ratings). When I first heard of this album several years ago, being not particularly interested in skinny guys with pointy ears and beards prancing through the forest playing flutes, I was not particularly quick to give this album a listen. Simply because when I heard “prog folk”, that was the image that came up in my head. Subgenres and classifications are easy to fall prey to – once you think you know a subgenre, you tend to think you know what a band will sound like even before you put it on. This is a mistake which I try to prevent myself from making, but old biases die hard. In fact, I considered myself “burned out” on prog rock in general about a year ago, and although I have a fairly extensive prog collection and have even written reviews for prog publications in the past, I really haven’t listened to much prog in a while. This turned out to be a blessing in disguise. When Jonathan assigned this album for me to review, it seemed to be an ideal time to approach it. Since I’ve been away from prog for a while, I could give it a fresh listen, not as a prog album/prog-folk/whatever-new-genre-tag-has-been-invented-this-month, but as a piece of MUSIC played by PEOPLE using their own particular creative vision and skills. That’s something that’s easy to forget when approaching music from an academic, neatly-categorized angle: all those great progressive bands from the late 60s and early 70s were basically making it up as they went along, in the best possible sense. They were in an environment where they were encouraged to be as creative as they liked, and as a result all these new combinations of musical ideas started happening. 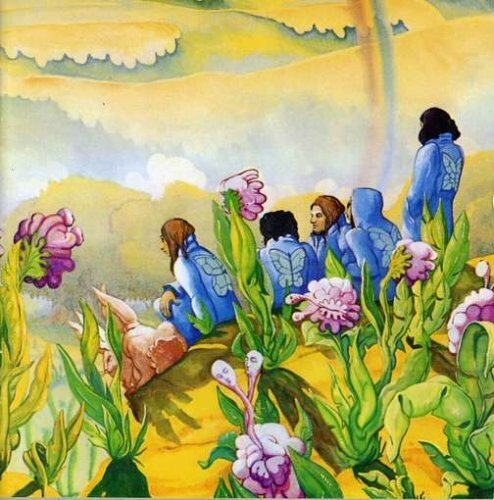 Take Yes, and “Close to the Edge” – I read somewhere that the band admits they really didn’t know WHAT they were doing, only that they wanted to take chances and really push themselves to make something original, and just see what works, using their own particular talents to their greatest advantage. BOOM. A timeless classic is born. They weren’t going down some checklist of “elements of a prog song” and checking them off. Harmonium seems to me to display that kind of spirit as well. Hailing from Quebec, they began as more purely folk but by their second album the decided to broaden their scope and see if added complexity could aid in painting a more sophisticated musical picture than the more traditional music forms they had tried thus far. They took a chance, and history has proven that whatever they did worked like a charm. So what did they do? The title of this album translates to “If We Needed a Fifth Season”, and it so happens it is a concept album about the seasons, with five tracks. See where this is going? The first four tracks each represent one of the four seasons (Frankie Valli, Bob Gaudio,…. no wait, wrong seasons), and the fifth, epic-length track represents the hypothetical fifth one. Not a bad conceit for a concept album, but nothing mind-blowing either, though I confess I don’t understand French, so the lyrics may be a revelation for all I know. Musically, they keep it mostly acoustic and gentle, with flutes, clarinets, acoustic guitars and basses, warm Rhodes electric piano, and Mellotrons. The vocals often employ excellent harmonies. Very little drums or percussion, if any at all. I was often reminded of Anthony Phillips’ solo work – with “pastoral” being the operative idea, except that in place of Phillips’ classical leanings we have an almost jazzy feel at times. If you’ve ever heard the classic early albums by Banco del Mutuo Soccorso, their quiet sections remind me of this album too. Where this album sets itself apart is in the sense of fun and playfulness in some of the material. The opening track “Vert” (representing Spring) begins rather austerely but soon acquires a certain swing, with groovy electric piano. The second track “Dixie” (representing Summer) employs an honest-to-goodness Dixieland style, with rollicking clarinet and barrelhouse piano and a brisk tempo. These two tracks set a unique tone for the rest of the album; even though the remainder of the album tends much more towards the serious side of things, you somehow know that anything might happen. And while they never employ whiplash-inducing shifts in style or tempo, they do put each piece through a number of subtly different movements that gives their musical painting a more three-dimensional perspective. Most of the attention from prog-lovers goes to the aforementioned fifth track/season, “Histoire Sans Paroles” (translates to “Story Without Words”). It does in fact feel like a separate work, a “concerto” to which the other four tracks serve as a prolonged introduction. While it does have some lyrics, it doesn’t have many, and the focus is clearly on painting a detailed portrait of what this fifth season would look, feel, and smell like. After four or so listens, I find I still have a hard time keeping my attention all the way through, but I can vouch for the fact that it is a beautiful piece, probably falling somewhere between autumn and winter mood-wise (the autumn and winter pieces on the record are notably more somber than the spring and summer ones). In conclusion, I have mostly good feelings about this record, though I do often wish it displayed a bit more aggression, if only to put the quieter sections into greater contrast. Of course, to insist on something like that is probably missing the point, and I recognize that. This album does not want to beat you over the head, and it doesn’t want to advance the idea that the passing of seasons is any more action-packed than it is. It is a tribute of sorts to the beauty of the natural processes and cycles that characterize our earthly existence. And it’s done with impeccable taste (nothing cheesy about this album, and no show-offs allowed), sensitivity (a mature perspective on the complexity and perfect balance of nature), and even humor. If this is how the Earth’s natural processes feel to them, then this must be a pretty nice place to live.